Graduating in 2017? 3 job search tips you can use right now. Despite the soaring temperatures, the fall semester is just around the corner. If you plan to graduate in the upcoming academic year, anticipation (or apprehension) for planning your job search is probably sinking in. Commencement is a date in the distant future, and it feels reasonable to hold your job search until you can actually work full-time, right? In truth, now is the best time to begin planning your strategy for locating a great employer and opportunity. Following are just a few strategies to gain a jump on your job-search competitors. Chances are you are currently wrapping up a summer job, volunteer experience, or internship. Now is the ideal time to close this experience by delivering quality work. Connect with your supervisor to schedule a feedback discussion and ask if there will be full-time openings available post-graduation. Also ask if he or she will offer a strong recommendation if contacted. Networking, interning, and building strong references will significantly impact your first job search and beyond. Employers are identifying talent earlier; help them find you.Recruiting cycles have changed over the past five years. As the economy has picked up, highly skilled applicants (top talent) can be in short supply. Employers are looking for the best possible talent for the job, which is impossible if a competitor has already hired away the best candidates. For many majors, fall is the ideal time to devote the most energy to your job search. Visit your career center immediately when you return to campus for the fall. Carve out time to visit career fairs and employer information sessions to connect with as many recruiters as possible. If employers in your field are not recruiting in the fall, use this time to talk with faculty, parents, and anyone else who may be willing to make a networking introduction. Finally, attend community events, or tackle a fall volunteer project. The connections and skills gained will be valuable for your job search. Give yourself time to practice and prepare.If you participate in sports, theater, music, or writing, you have probably put in a significant amount of practice time. Similarly, consider putting some significant preparation time into your job search. Start drafting resumes, scheduling mock interviews, and researching employers as soon as possible. Your second or third interview will probably be a lot more relaxed than your first. In addition, pretty much everyone will have suggestions for your first resume draft. Start building your job search skills now. Want more great job search suggestions before you really dig in and begin searching for jobs? Follow us on Facebook, LinkedIn, Twitter, and YouTube for a steady stream of tips and job postings. Mike Caldwell serves as the Director of Business Careers and Employer Development at the Cohen Career Center for the College of William & Mary. 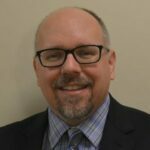 He has held leadership roles in local, regional, and national college recruiting organizations including the American Association for Employment in Education and the Utah Association of Career Educators.